This approx. 2 acre property on Hwy 42 just off the Holden exit (Hwy 441) on I-12 offers 3 mobile homes that are currently all rented. Main home is a 2008 double wide 3b/2 ba , 1856 s.f. with a nice attached front porch/deck. It has sheetrock walls, fireplace with built ins, large kitchen with island, and a split bedroom floor plan and rents for $1200 per mo. The other 2 mobile homes are a 1999 and a 2000 model, both 3br, 2 ba. They rent for $850 and $900 per mo. All 3 have separate addresses and lot numbers and are served by a single water meter at this point which seller pays, but have separate sewer systems in place. All leases are current. FLOOD ZONE X. Homes did NOT flood. There is also a 600 s.f. shop/storage/workshop with electricity for all your tools and toys. 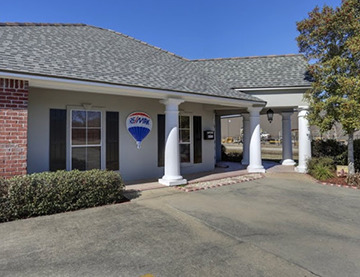 Great rural setting but just a short drive to Baton Rouge or Hammond.